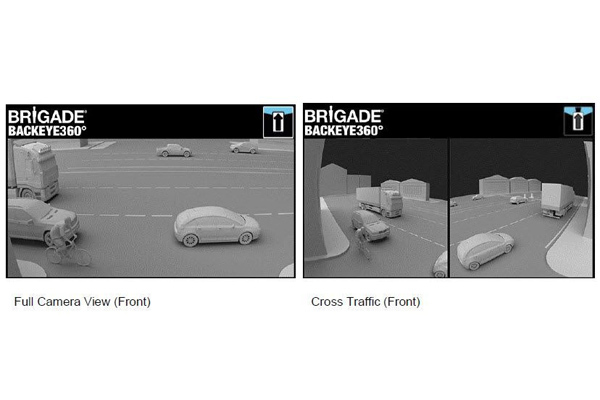 UK-based Brigade Electronics, a leading company in in vehicle safety, has launched its latest 360º camera monitor system - the Backeye 360 BN360-200, which incorporates a range of new and unique features to eliminate blind spots and improve safety. Designed to assist with low speed manoeuvring technology that provides drivers with a comprehensive 360º bird-eye view of the area surrounding the vehicle via an in-cab monitor display, said a statement. Research has shown that in the time it takes to scan four mirrors, assess and then react to hazards, even at speeds as low as 3.1mph a vehicle could travel as far as 10 meters (33 ft), it said. The new system addresses the issue by eliminating blind spots and creating maximum visibility around the vehicle at all times, in addition to limiting the drivers focus to only one monitor for the fastest response to avoid any visible hazard. The Backeye 360 BN360-200 retains all the features of its predecessor (BN360-000), along with the new and unique benefit of customisable software, which can be intuitively set up using the monitor and accompanying IR remote control by just a single engineer, it added. A total of 19 different on-screen views are available to suit almost all applications and environments, these include: portrait and landscape options, full 360º vehicle modes and split screen modes with 360º view, said a statement. Customisable triggers allow for a complete hands-off experience, ensuring the driver is focused on manoeuvring the vehicle and reacting to possible hazards.